There are pros and cons to both types of care, and you will need to understand all of them to determine which course of dementia care is right for your loved one. Home care involves a dedicated family member or team of members who help the dementia afflicted individual not only to maintain a safe living environment, but also helping to sustain the person’s standards of hygiene and other daily care. Bathing and eating are often areas where assistance is needed, particularly in later stages of the illness. Dementia care also involves providing safe activities and compassion as well. One “pro” of home care is that support is often much stronger because it’s being given by family members with a sincere interest in the well being of the individual, and while love may not heal all, it’s certainly not unwelcome in a home care setting. 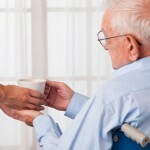 Even though dementia care at home may be frustrating, particularly at which points the ill person no longer recognizes the care givers, the benefits to having loving and nurturing providers in a comfortable environment has been shown in studies to prolong the life of the affected persons for largely unknown reasons. There are, unfortunately, some downsides to this type of care, however. For some people, the task of cleaning and feeding people, or taking care of those who are bedridden or incontinent can be too much for them to handle. Additionally, the emotional anguish of seeing such a different reality from the person remembered prior to the onset of illness can take a large toll as well. Another “con” to consider with home dementia care is the huge investment of time required for what will eventually be around the clock caring. This can make managing a personal or professional life difficult and leave little free or available time. Whether at the onset of illness or later during the progression, many sufferers end up at dementia or Alzheimer’s care facilities. They are equipped with staff well trained to care for both the mental and physical needs of the patients, a definite plus side. However, understaffing in many environments means that it’s possible that there aren’t enough dementia or Alzheimer’s caregivers to go around, meaning that patients don’t experience the level of compassion and care that they should, a “con” worth considering in assisting living facilities. Additionally, one aspect of dementia care that is absent in a home environment is the increased risk of illness and infection that can occur in hospital facility type settings. Because of this increased risk and the amount of stress placed upon newcomers, there is certainly a much higher mortality and much rate much earlier in cases of nursing homes, for example. While many promising treatments have attempted to surface over the years, most of them, such as Janssen Alzheimer Immunotherapy, fall flat in clinical trials meaning that comfort and care management are still the best forms of dementia treatment. Indentifying the various dementia causes and exploring new medical applications will eventually bring an end to this terrible disease. In the mean time, making the best treatment options for your loved one based on their condition and your commitment will depend on your family’s unique needs.